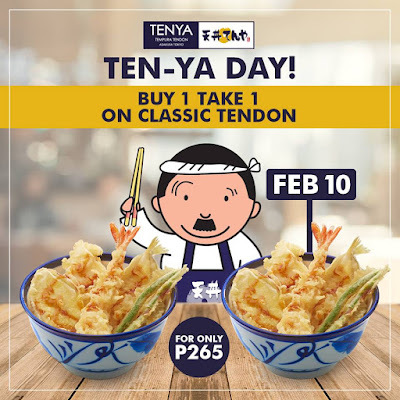 Good news to all Tempura Tendon fans! Tenya, Japan’s No. 1 and Original Tempura Tendon, celebrates its Customers’ Appreciation Day this Sunday, February 10, 2019 with a Buy 1 Take 1 Promo on their Classic Tempura Tendon. Available for dine-in transaction in all Tenya branches.